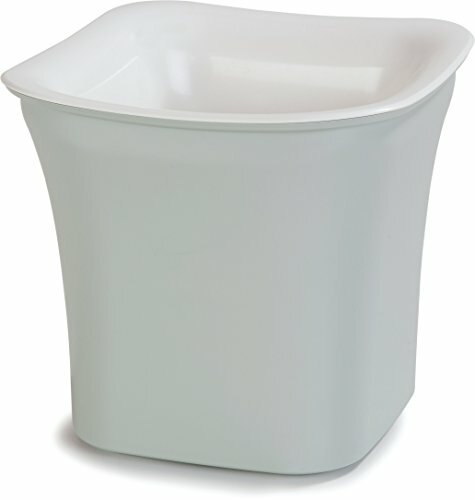 Keep food safely at or below ServSafe guidelines of 40 degrees F for up to 8 hours without the use of unsanitary ice baths or electricity with the CM1401440 Coldmaster two quart square cold crock from Carlisle. Coldmaster cold crocks are insulated with a non-toxic refrigerant gel that can be recharged by freezing overnight. The designer series places emphases on the visual presentation of food and is at home on buffets, salad bars, tabletop displays and other front-of-house areas. Coldmaster insulated cold crocks are dishwasher safe for easy cleaning. They are approved by the National Sanitation Foundation and the FDA. The crock measures 7.58 x 7.58 x 7.08 inches (L x W x H).